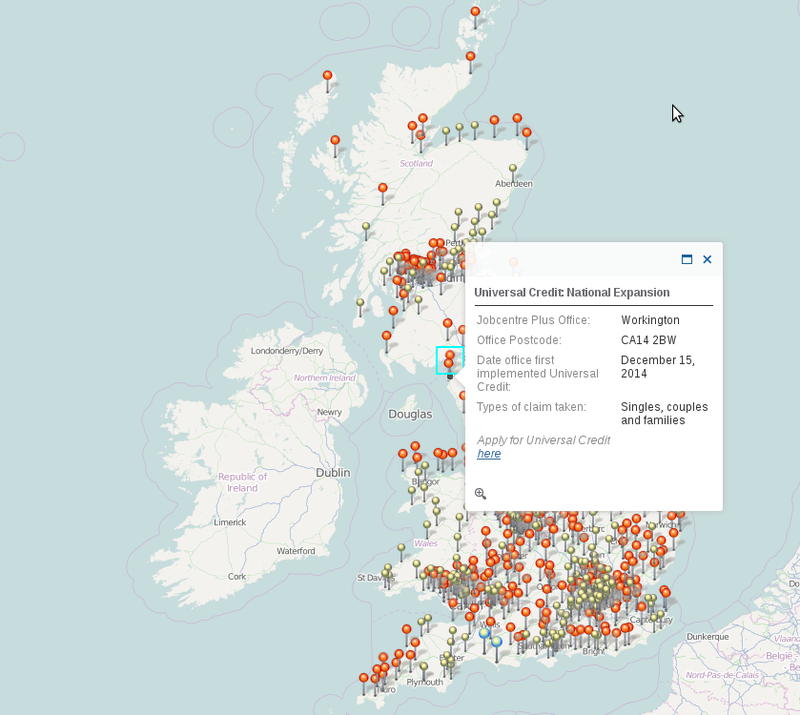 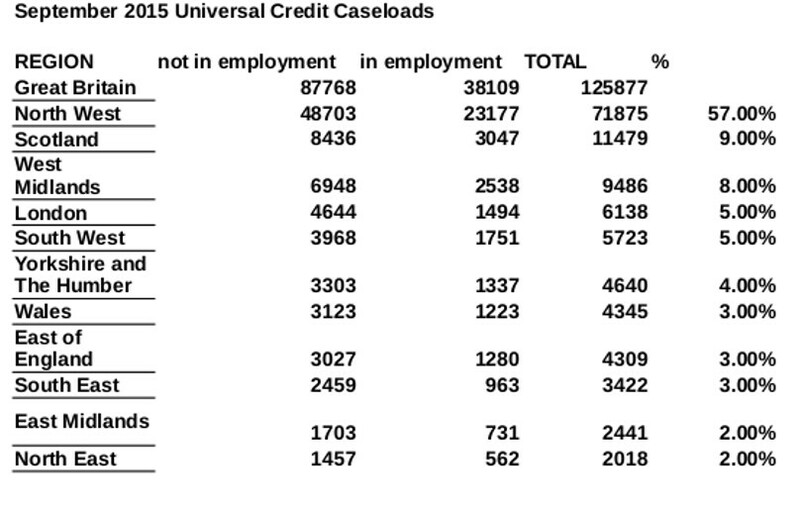 Nearly 10% of Universal Credit claims are in Scotland. 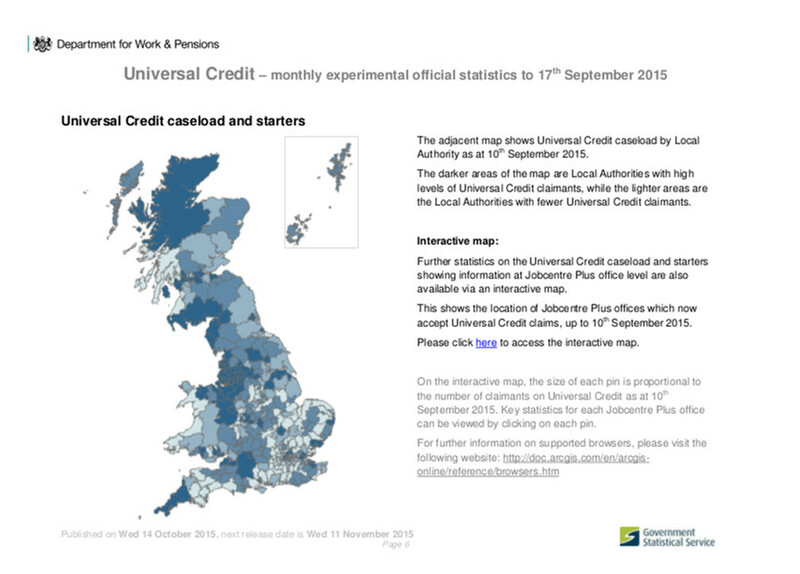 Clevedon is immediately AFTER the cut-off point and therefore is only taking claims from single people. 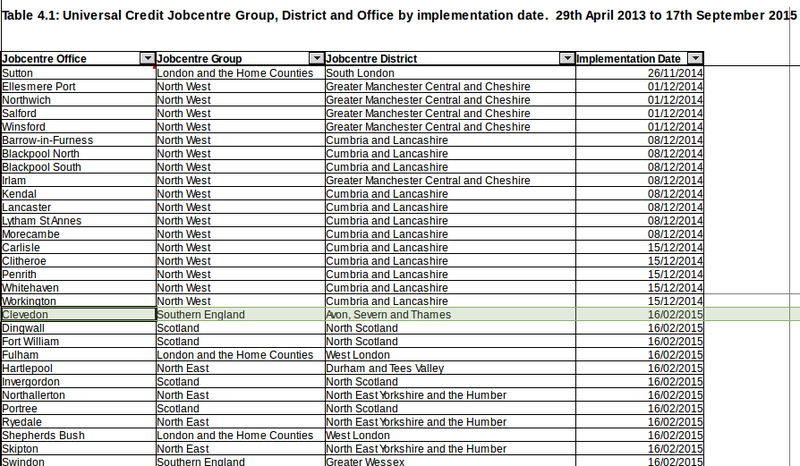 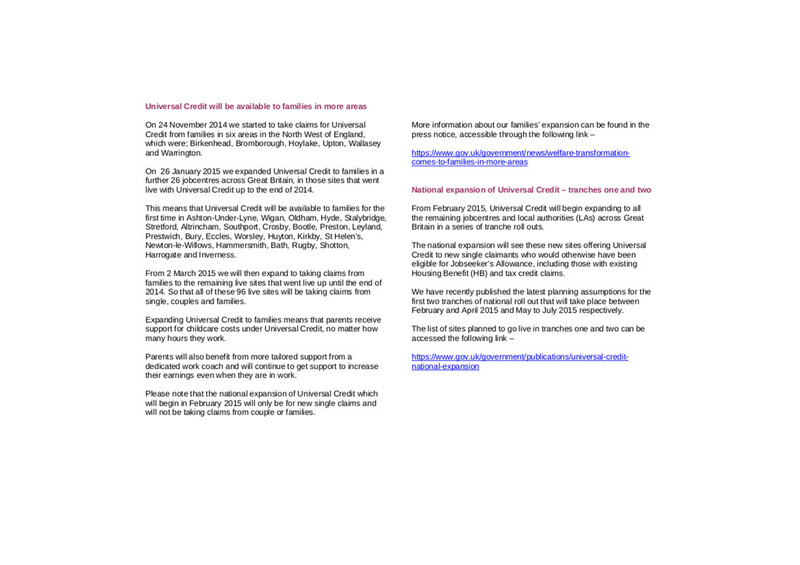 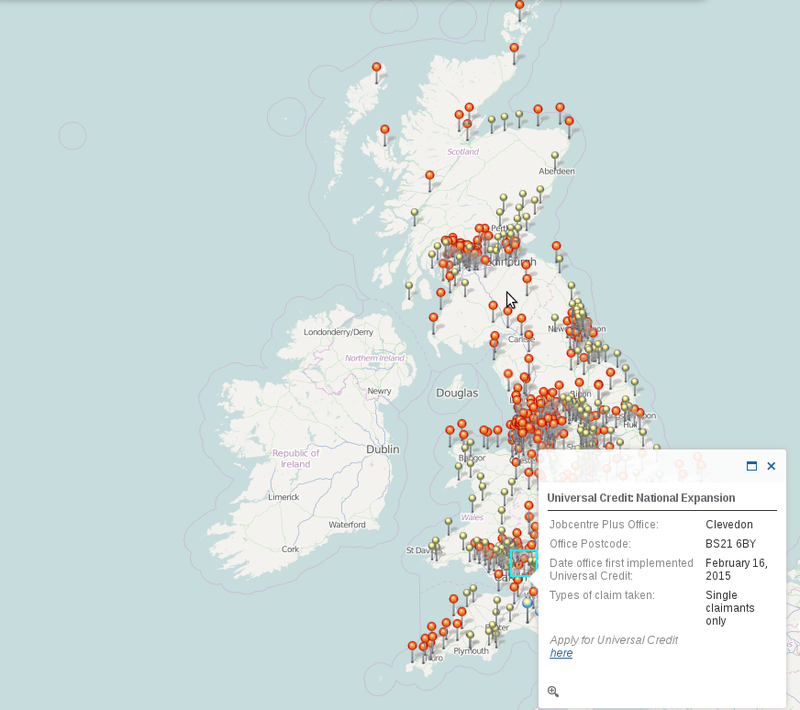 This page has more details about the JobCentres where Universal Credit has yet to arrive. 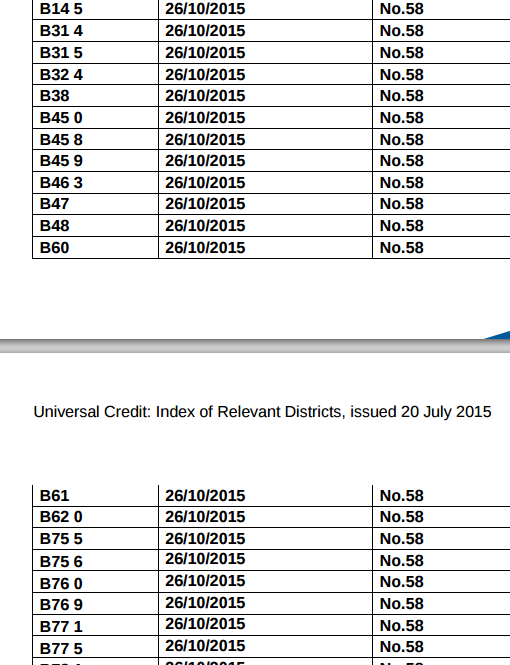 You can check your postcode against the index of relevant districts. 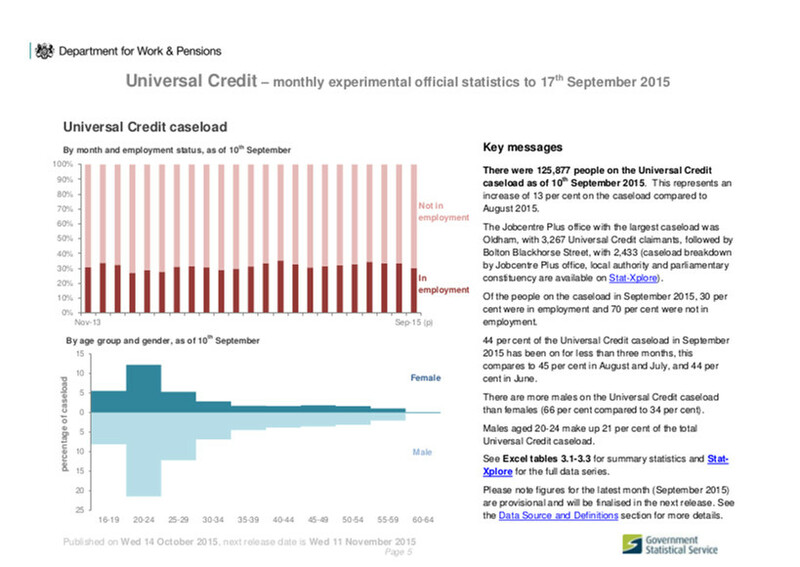 I wrote here about lone parents on Income Support moving into the scope of Universal Credit once their youngest child reaches 5. 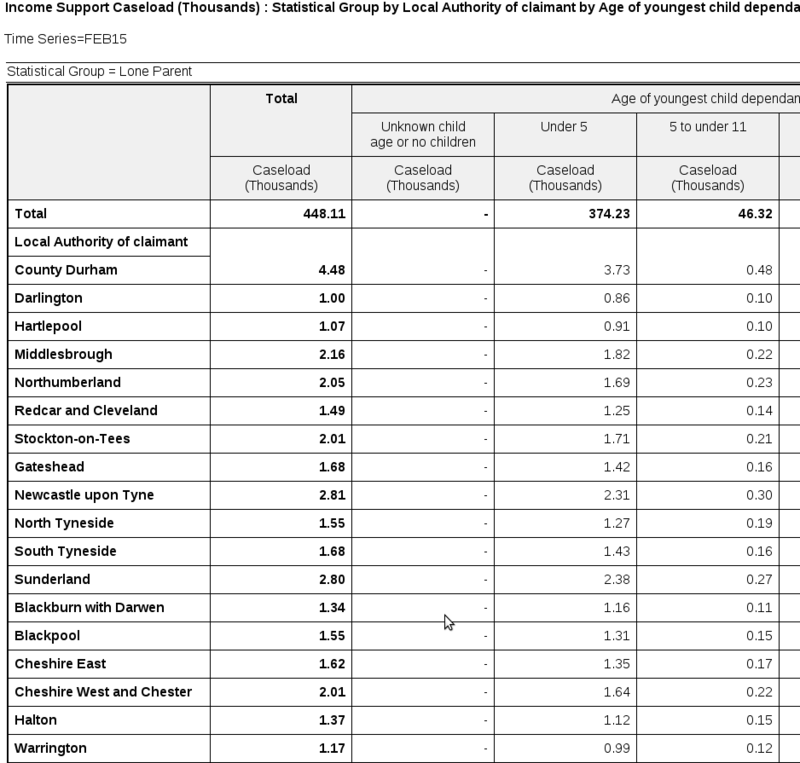 This tabulation tool from the Department of Work and Pensions shows how many lone parents on Income Support with children under 5 are in each area.